You have a vision of the person you want to be in your personal or professional life, but know you have some growing to do before you’ll be able to take things up a notch and truly fulfill your potential. 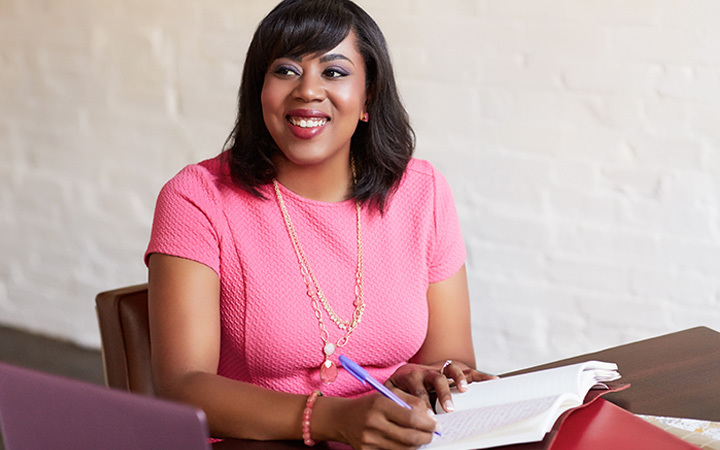 I’m Dr. Patricia Thompson, and I’m a corporate psychologist, life coach, and author who helps motivated clients achieve their goals by teaching them how to develop their talents, unleash their authentic selves, and develop a mindset for success. I have a broad and varied background in psychology, and have coached and counseled clients in corporate settings, hospitals, clinics, and counseling centers for over 10 years. I have also taught university-level psychology, supervised therapists-in training, and been featured extensively as a self-development expert on sites like, Entrepreneur, Fast Company, Time, CNN, Tiny Buddha, and a host of others. Recently, I also had the honor of being named by MindBodyGreen and Athleta as one of 100 Women to Watch in Wellness. Even more importantly, I’ve been where you are – feeling dissatisfied with where I was in life, knowing there was so much more that I had to offer the world, and desperately wanting to do something about it. For as long as I could remember, I tried to make myself as unobtrusive as possible. I was a “good” and “responsible” girl who always got excellent grades and never got in trouble. I was a people-pleaser who avoiding making others uncomfortable by biting my tongue and not ruffling any feathers. I did my best to guard against risking others’ criticism by putting myself in a box, not taking chances. And you know what? That box started to feel really confining. Finally, I got sick and tired of holding myself back. So, I decided to do the work to fully utilize and develop my talents, stop hiding them, and become aligned with the person I was meant to be. It wasn’t always easy, and it required a lot of self-reflection, assistance from others, and a willingness to push myself outside of my comfort zone. That decision transformed my life. I can truly say I’m happier and more fulfilled than I’ve ever been, and I’m continuing my lifelong journey of personal evolution and development. I’ve had the amazing opportunity to help others achieve greater fulfillment and success in their lives as well, and together, we can do the same for you. 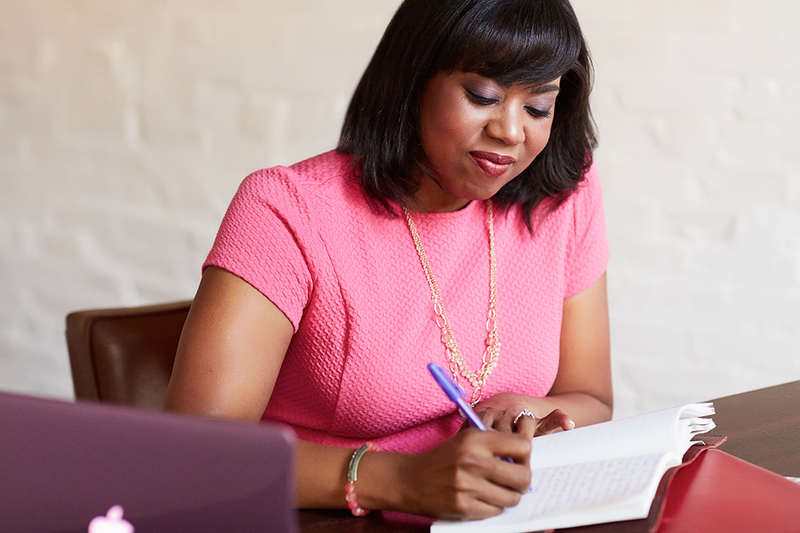 Whether you’re a leader who needs to cultivate your professional skills to expertly inspire others, a frustrated single trying to develop healthier relationship patterns, or a discouraged dreamer who needs to confidence to truly come into your own, I would love to help you. Using a blend of self-discovery, goal-setting, experiments, and positive psychology, we will work together to craft a fulfilling life for you that will bring greater joy and success. I also have a variety of self-study options for those who would prefer to go it alone. I was born and raised in Alberta, Canada, but now live in Atlanta, Georgia with my extremely tall husband and extremely active toddler son. I have a PhD in Psychology, and was educated at the University of Toronto, Georgia State University, the University of Pennsylvania, and the Emory University School of Medicine. I have helped all sorts of people, in all sorts of settings, develop solutions to help them reach their goals. I am passionate about partnering with people to help them to live their best lives possible and fulfill their career dreams. In August, 2014, after 10 years of working for a management consulting firm, I decided to devote myself to my own business full-time. (If you’re curious about what led to that, click here). So far, it’s been an amazing ride and a decision that has brought me a great deal of joy and professional satisfaction. I am a dual citizen of Canada and the United States, but my parents are from Jamaica and Bermuda. I really enjoy traveling. Some favorite spots include Vancouver, Toronto, Mexico City, San Diego, Portland, Chicago, and Montego Bay. My husband and I had two weddings. The first one occurred a week after we were engaged, when we eloped on the beach in San Diego. The second one occurred six months later. It was a traditional wedding with family and friends in Atlanta. I am a classically-trained pianist, cellist, and clarinetist. To help support myself in university and grad school, I played piano for ballet schools, parties, churches, and taught lessons. I have developed an odd obsession with various home improvement shows – especially The Property Brothers and Love It or List It. I love to work out. Right now, I’m very much into the gym, tennis, kettle bells, and Pilates, all while wearing my heart rate monitor. In my home, everyone is on the tallish side. I’m 5’8, and my husband, a former basketball player, is 6’8. My son is even in on the act. He was over 10 pounds when he was born, and has been above the 99th %ile for height his whole life. Even though my “official” title is Dr. Thompson (and it’s supposedly good for making me sound credible), I much prefer to be called Patricia. I love Christmas music, and have been known to break into Christmas carols at any point during the year. I’ve had more birthdays than my mom…she was a leap year baby. Get my free video series on the 6 Keys to Personal Transformation.